DADCO is a world-class manufacturer of nitrogen gas springs and die components for multiple industries. Our exceptional quality and customer service have positioned us as the market leader. We take a collaborative approach to all projects and encourage employees to share insight and knowledge. We are always looking for eager, solution-oriented people to grow with our team. 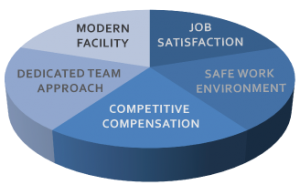 We offer a professional atmosphere, modern facility, corporate activities, competitive compensation and a generous benefit packing including 401(k). Please fill out the applicant information form and email it back along with your resume to jobs@dadco.net. To find out more about us follow us on Facebook, Twitter and LinkedIn @dadcoproducts.